Traditional Wing Chun dimensions and design. 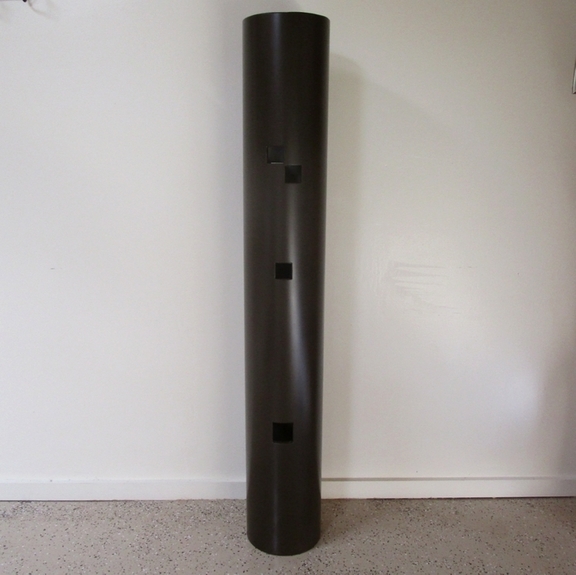 Made and sold by Raven Studios since the year 2000 – The body is 56″ tall and made from 8.5″ diameter PVC pipe that is 3/8″ thick (schedule 40) with a cap on the bottom so it can be filled with sand bags for added weight if desired. Painted dark brown and sealed with a protective clear coating. This jong body is very rugged, durable, great for outdoor use, and is easy to transport. Turn around time is normally about 12 weeks. SKU: #160B. Category: Mok Yan Jong (Wooden Dummy). Tags: PVC Dummy, PVC Mok Yan Jong, Wing Chun PVC Dummy.